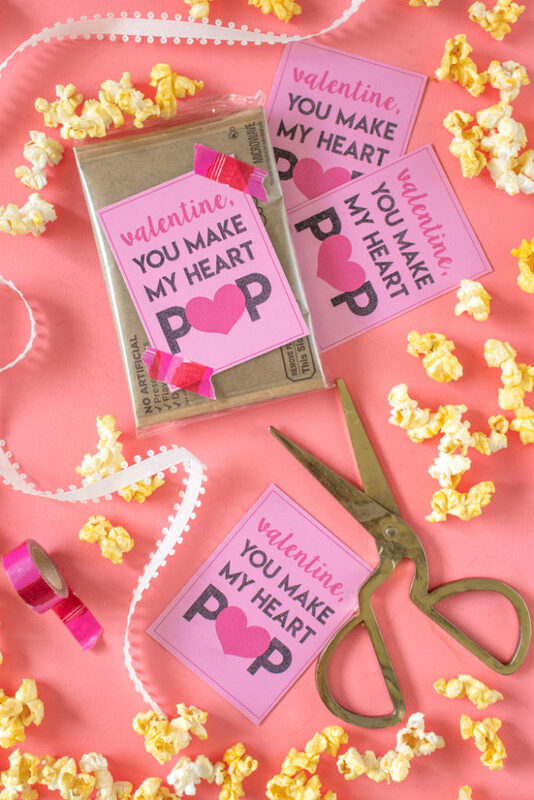 Step 1: Load light colorful or white cardstock into your printer and print out these popcorn valentine cards. There are 6 per sheet of paper. 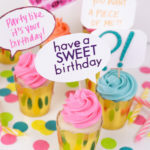 Step 2: Use scissors or a paper cutter to trim along the grey lines to cut out the cards. Step 3: If desired, write a personal message on the backs. 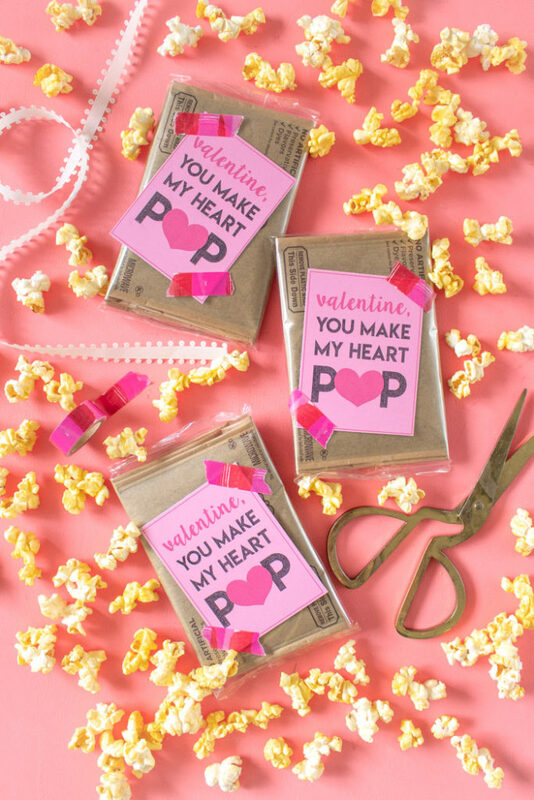 Then simply tape the cards to a plastic-wrapped bag of popcorn (or even a pre-popped bag if you prefer). 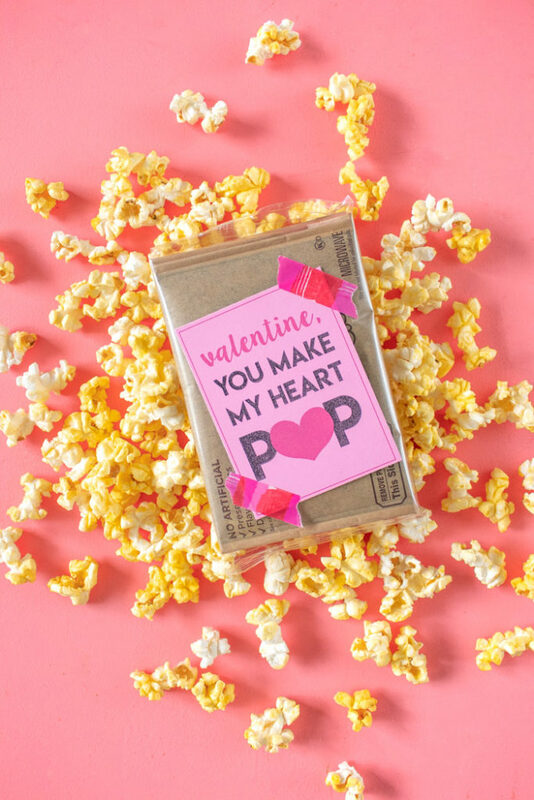 One of these printable popcorn valentines would definitely be the way to MY heart, so maybe the same is true for you and your valentines! 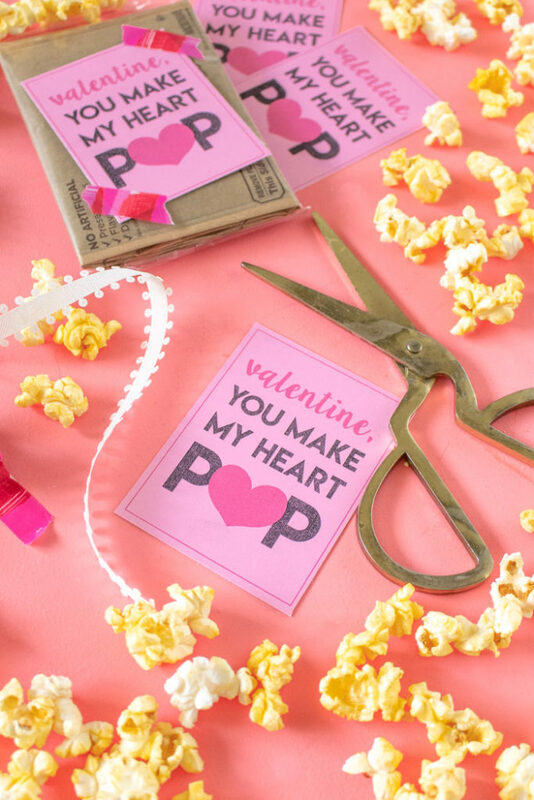 Give them out this Valentine’s Day for kids or adults! Psst, want another valentine card idea? 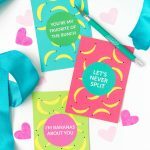 Be sure to check out my punny banana valentines!